Alright plant-based eaters, it’s time to stave off that mid-day burst of hunger. Let’s hit the drive-thru! Yup, you read that right. Coming in the near future and possibly to a town near you (if you happen to be lucky enough to live within striking distance of Rohnert Park, California), Amy’s Kitchen is going to be opening real brick and mortar restaurants and instead of going with a pricey or upscale business model, they’re taking a page out of the 1950s playbook and going straight up drive-thru style. Or, maybe we should just say that they’re taking a page out of the modern American playbook. Quick Service Restaurants (you know, fast food joints) have become so commonplace in our culture that 8 in 10 Americans report eating in one at least once per month. Even establishments that would have not normally been lumped in with fast food have embraced people’s need to obtain products with minimal disruption to their car singing time and added drive-thrus to their business model – Starbucks, Dunkin Donuts, pharmacies and even banks to name few. Honestly, all kinds of people hit them up. People love to get stuff without leaving their car. The problem is, the stuff available is rarely of the super healthy variety. Sure you can get salad at most fast food restaurants, but they’re very often centered around animal products. Remove the meat, cheese and often randomly sliced half of a hard boiled egg and your left with a dressing-less bowl of random iceberg lettuce, some carrot slivers (how do they get the carrot into that stick shape?) and if we’re very lucky a few cucumber slices that are either weirdly dry on the outside or sorta see through. See, you can picture this because you’ve endured this salad. Hey, at least the carrots are a thin slice, all the better to wipe our tears with. Amy’s hopes to change all of that, giving people who choose to eschew animal ingredients plenty of things to choose from when they’re on the go. Honestly, how cool is that? Listen, it gets cooler. 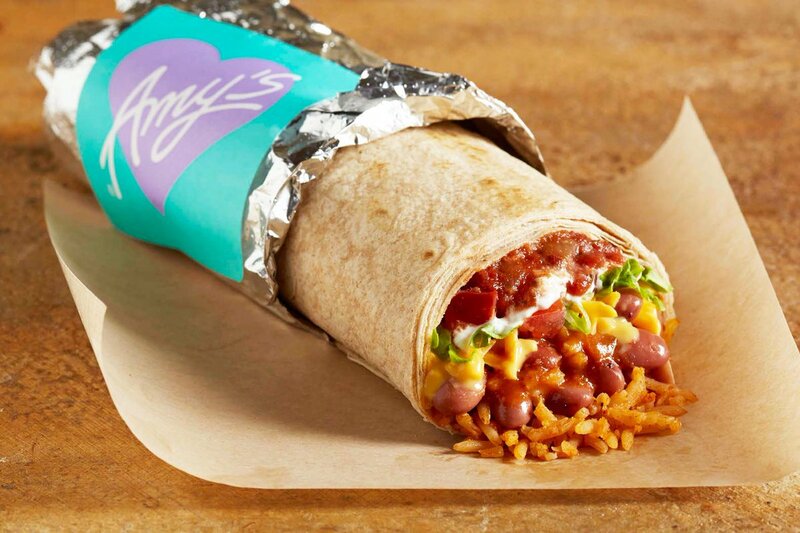 With their flagship store set to open in over the summer of 2015, Amy’s plans to be 100 percent egg and nut free as well as vegetarian, 95 percent organic, and will allow many of their offerings to be ordered vegan – aside from the already dedicated vegan menu items. What items are those, you might ask. Well, vegan shakes made the list. It’s not even April, why would be punk you? The timing couldn’t be more perfect as a growing interest in healthier fare along with plant-based eating has started to take the globe by storm. Places like Chipotle, who also pledged to go GMO-free, are becoming more mindful of where they get their ingredients and offering more plant-based options. Even Taco Bell and Pizza Hut have chosen to stop using artificial ingredients in their mix while coffee aficionados have been rejoicing over the addition of more plant-based milk options from the likes of Starbucks and Dunkin Donuts. Heck, you can even get vegan mayo at 7-Eleven nowadays! 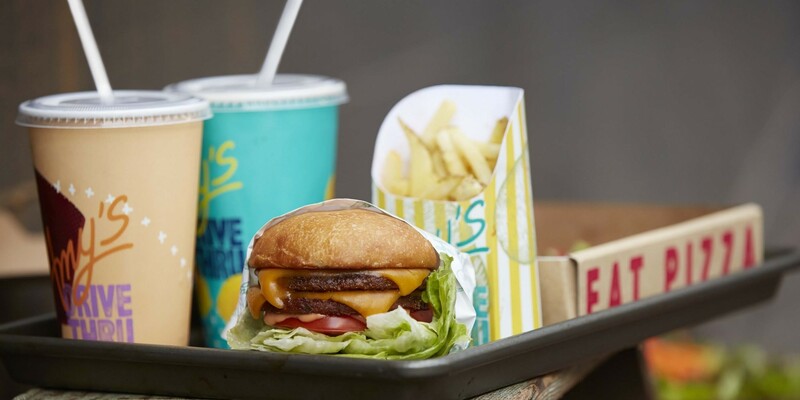 It seems that now’s the time for affordable (burgers will cost $2.99 –doubles will be $4.29 – while cheese pizzas will go for $5.89, burritos for $4.69 and salads from $3.99 to $7.99) and convenient food that not only supports our growing demand for healthier fare, but that also supports the planet. Did we mention that the building is full of reclaimed and recycled materials and will boast a living grass roof that will be nurtured by rainwater in addition to the far more sustainable fare you can eat there? The future of our health and planet is here folks and it looks delicious. Pleeeeze come to Milwaukee, WI. I\’m tired of only eating fries and salads when we go out. Milwaukee isn\’t a place for vegans. It\’s true, it\’s all about beer, brats, and cheese. I love, love Amy\’s dishes when I can find them. Nom, nom, nom.